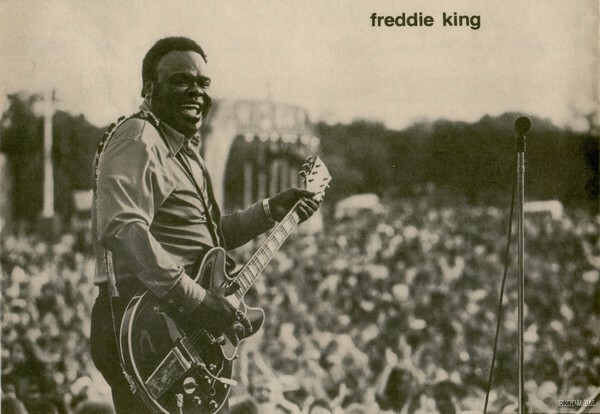 Freddie (sometimes spelled Freddy) King revitalized the Chicago blues scene in the Sixties. His aggressive playing and piercing solos helped set up the blues-rock movement, and he was a major influence on Sixties British guitarists like Eric Clapton, Peter Green and Mick Taylor. King’s mother taught him to play guitar as a child in Gilmer, Texas, where he was born in 1934. In 1950 the family moved to Chicago, and he was soon immersing himself in the thriving blues scene. From guitarist Jimmy Rogers he learnt a thumb-and-index-finger picking technique that he modified by using a plastic thumb pick and a steel fingerpick that added to his keening technique. He also incorporated the country blues stylings he had grown up with, along with a Texas swagger that gave his playing a raucous edge. But it was hard for King and other young Turks like Buddy Guy and Otis Rush to break into a blues scene dominated by Muddy Waters and Howlin’ Wolf, and harder still to get a record deal. When he finally landed one in 1960 he had a stack of material ready, and at his first session he cut ‘Have You Ever Loved A Woman’ and the instrumental ‘Hideaway’, which was a Top 5 rhythm and blues hit and even made the pop Top 30. Both songs would be recorded by Eric Clapton (with Derek & the Dominos) and John Mayall’s Bluesbreakers. search of covers. Clapton’s successor in the Bluesbreakers, Peter Green, picked ‘The Stumble’, and his successor, Mick Taylor, opted for ‘Remington Ride’ while Chicken Shack’s Stan Webb picked ‘San-Ho-Zay’. Not surprisingly King started making regular tours of Britain, where his disciples were happy to sing his praises, and though the hit records had dried up by the mid-Sixties, his guitar prowess continued to develop, courtesy of his stinging vibrato, lyrical lines, and astute phrasing, and he remained a top live attraction on both sides of the Atlantic. Clapton produced Burglar (1974), but King was suffering health problems, and in 1976 at the age of 42 he suffered a fatal heart attack, brought on by bleeding ulcers. Want to learn the basics of electric guitar? 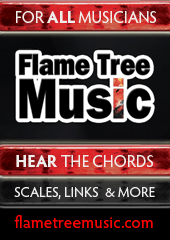 Head to the Flame Tree website to pick up How to Play Electric Guitar. If you want to learn how to play that awesome riff from your favourite song, we also have Classic Riffs (Pick Up and Play) here. Check out the official Freddie King website here. 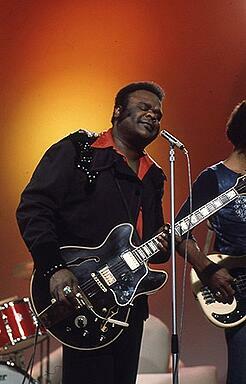 Read about Freddie King and his induction into the Rock & Roll Hall of Fame here. 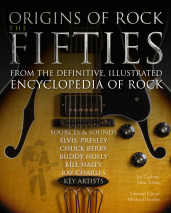 ’10 Things You Should Know About Blues Legend Freddie King,’ by Gibson, available here.